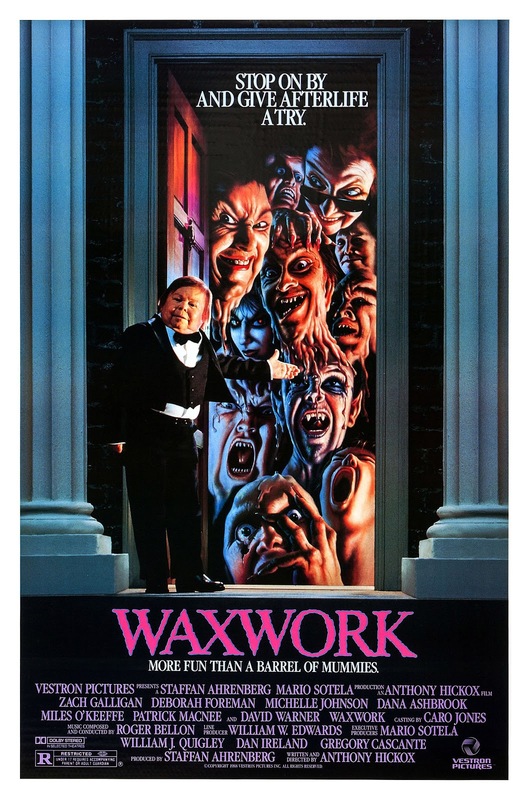 In this weeks frightful event, we unleash the horrors of wax statues brought to life for nefarious, and evil reasons in...Waxwork. 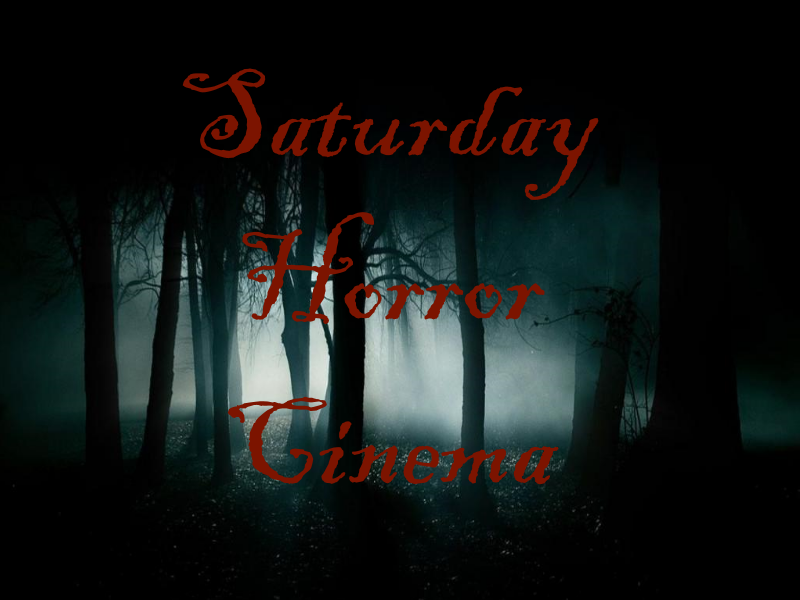 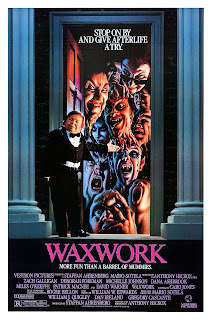 Released in 1988, this film explores the horrors of the "uncanny valley" in wax museums. 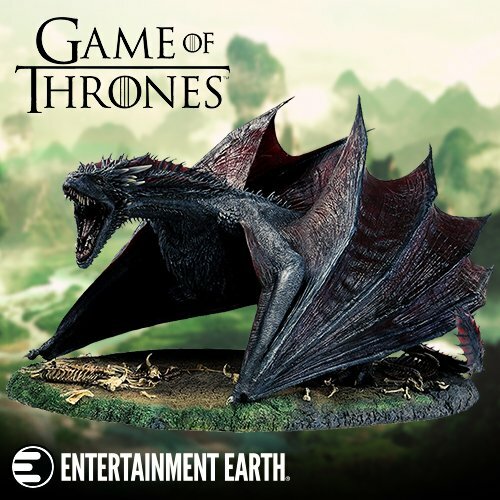 However, this go around, the statues actually come to life to kill.